Like elbow orthoses, these braces are used to either assist or prevent bending of the elbow but also involve other joints. These devices are often used to prevent loss of range of motion across the elbow, wrist, and hand. EWHFOs may have joints at the elbow or wrist to allow for adjustments. 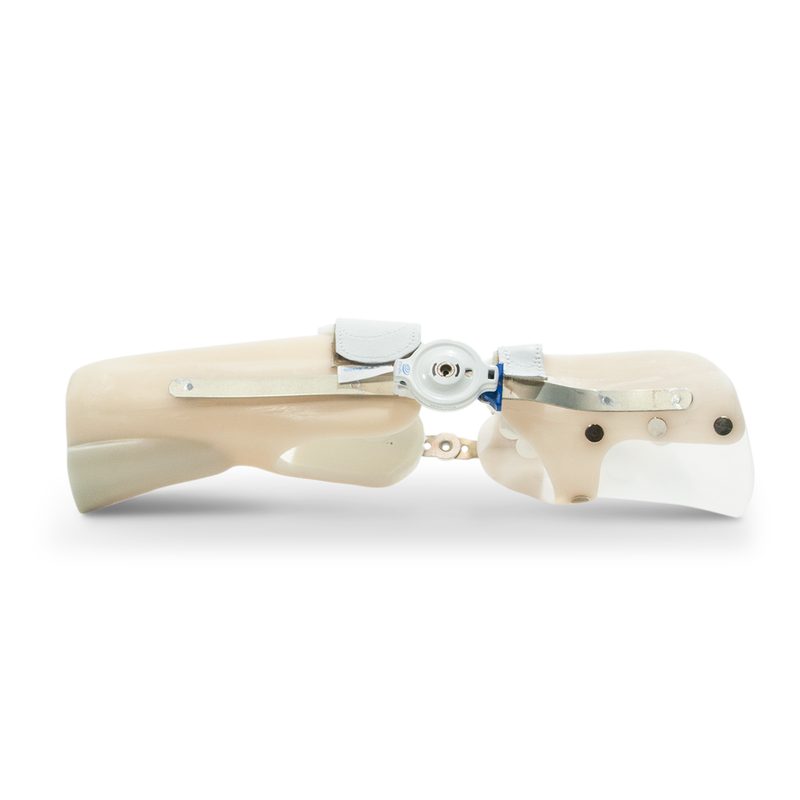 These braces cross the elbow and can be used to resist movement or assist bending of the elbow for progressive stretching. EOs can also be used for support and positioning.